WB25512W is a vehicular wideband antenna covering 25-512 MHz. Its magnetic mount base makes it ideal for applications needing quick antenna setup and removal. WB25512W entire VHF frequency band and lower UHF with 50W RMS power handling. 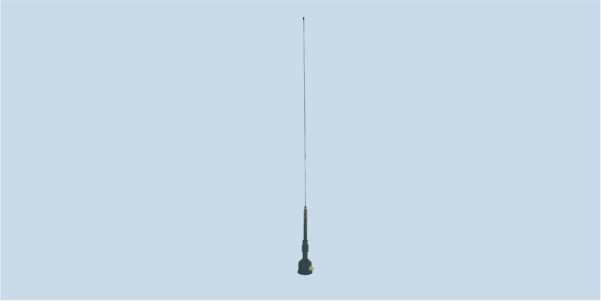 It is ruggedly constructed, with a shock absorption spring and compact magnetic mount for easy-to-setup temporary installation on a vehicle, which provides the ground plane for this monopole antenna.